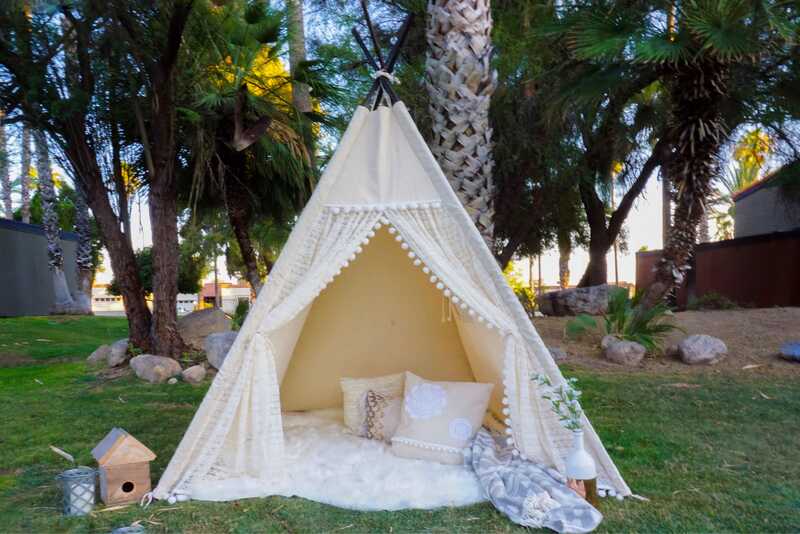 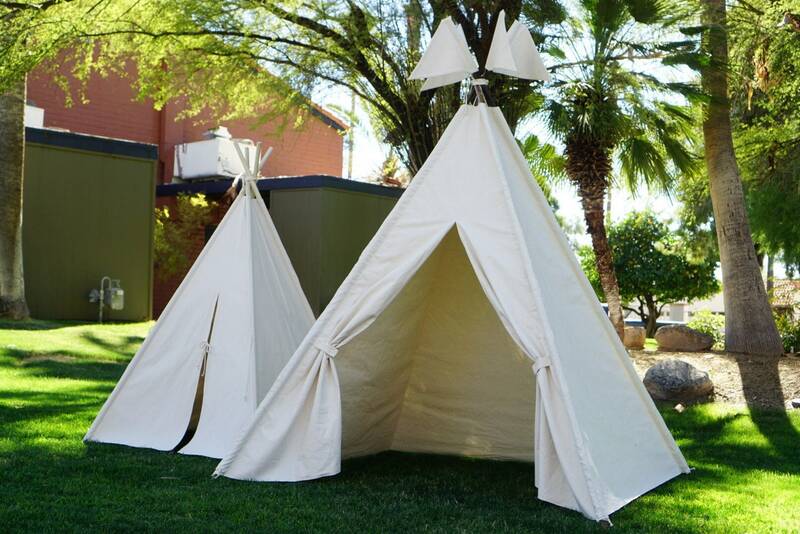 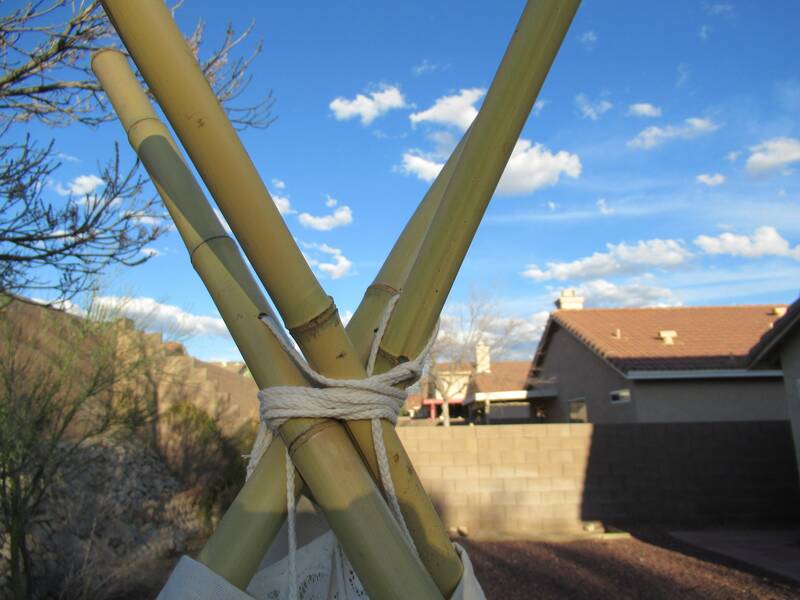 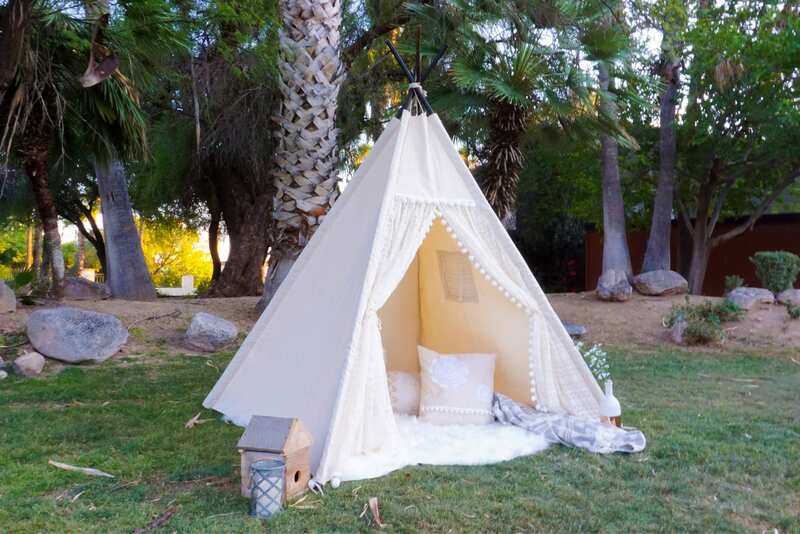 This is Pocahontas 8ft lace teepee, the romantic design for the free spirits. 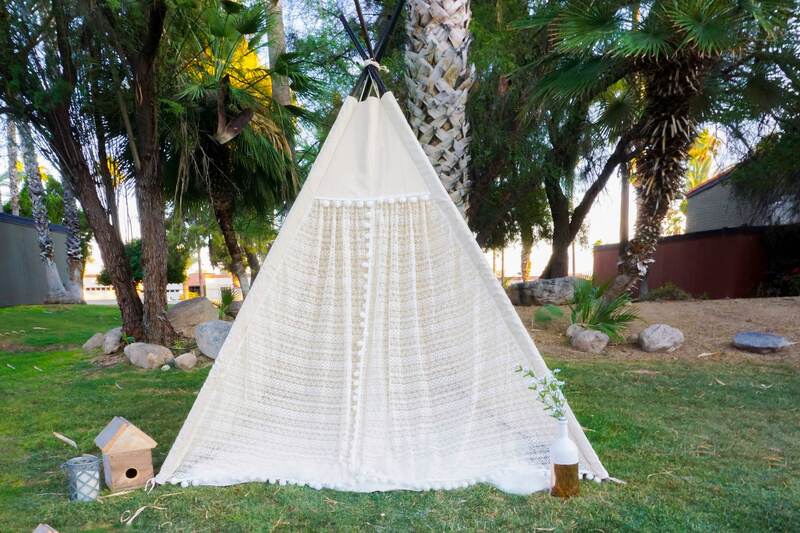 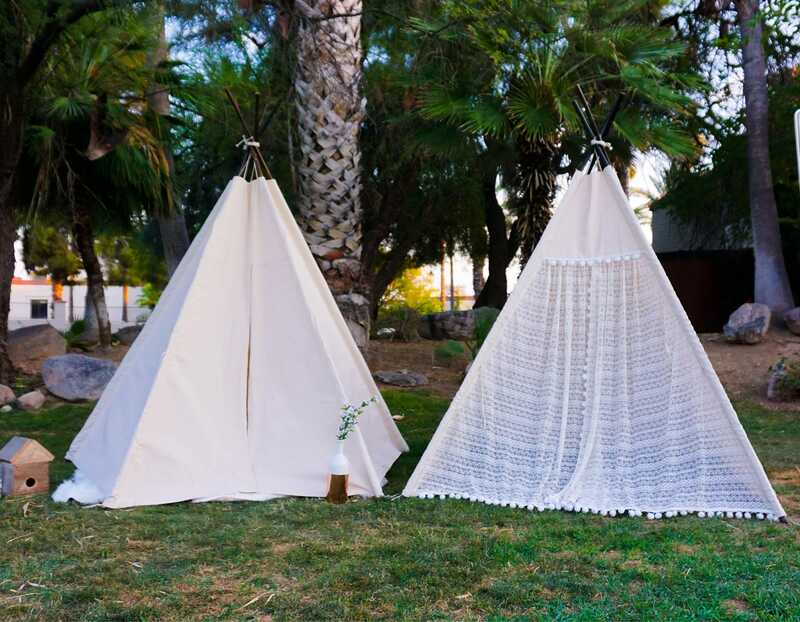 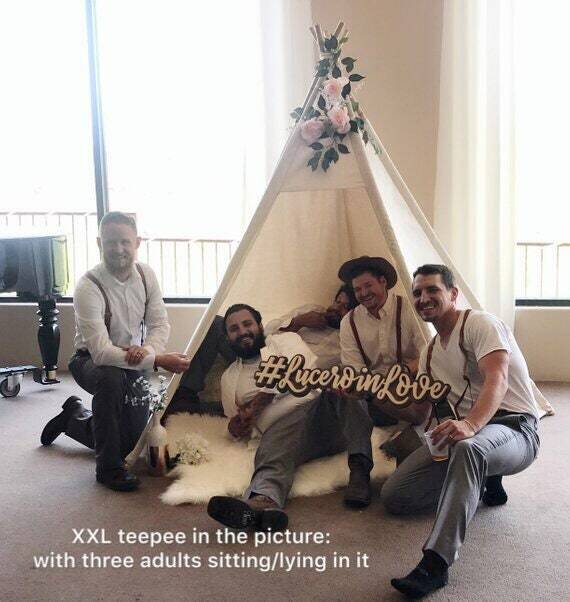 The lace fabric used on the teepee comes with chevron pattern, modern yet classic. 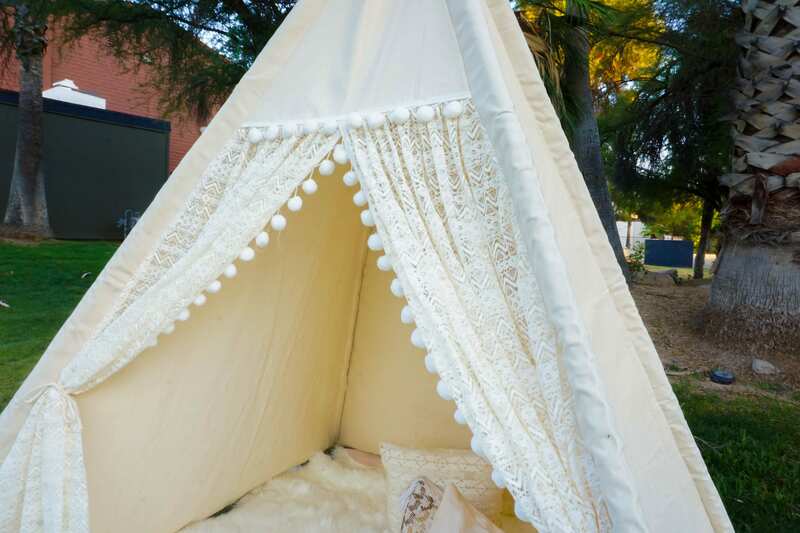 Cute and matching large pompon trim is added around the front opening.